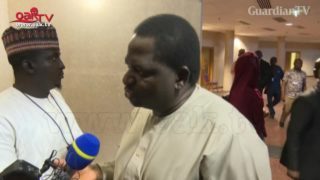 I thought this same Governor asserted that the President did not travelled out of the country, but is hiding in a hotel in Abuja. OK ooh, fayose ashey. So shall it be, he pray for others so people will pray for him. 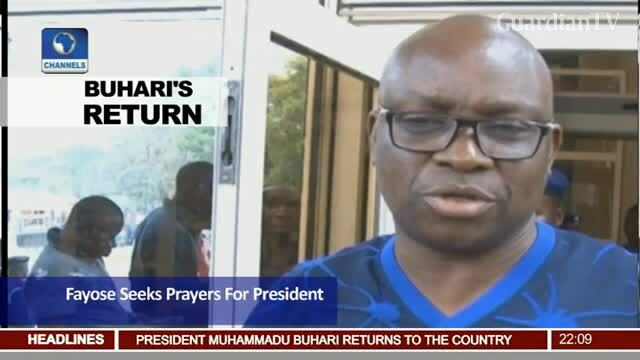 Fayose spoke nonsense He should pray for himself first. Is it Buhari alone that should put food on the tables, what of the governors like himself. What is he doing with the federal allocations he’s collecting. Rubbish. See his appearance like a motor park tout.